Orave: A technology service provider. Welcome to Orave! We offer various technology-related services and products. Technology is evolving rapidly. You can either get left behind or move forward with the trend. Orave is here to help you keep up with the technology. Orave helps determine the technical needs of your organization. Many organizations fall victim of their own growth. Orave will help your organization catchup with the technological needs to accomodate its growth. If you are unsure about how we can help, contact us to find out. Orave offers a wide variety of services ranging from consulting to applications development. One of our services may just suit your needs. Orave offers a wide-variety of technological services; however, below are some of the most popular ones. Remember, if you are uncertain about what type of services your orgnanization will need, we will work with you to determine the most suitable services for you. Orave offers a web hosting service on a very fast and reliable web server equipped with high-end hardware configuration. Our customers can always rely on the reliability of our web servers and professionalism of the customer support team. Our servers also have pre-installed tools that organizations can benefit from. Domain name is the medium you connect with your customers. It needs to be simple and catchy, while representing your business and preserving your brand. We offer domain registration service at a very competitive price. Click here to begin your domain search or contact us for any assistance from our experts. If your business is in need of a customized software, we can help you build one! Our enthusiastic team of designers and developers are always looking to work on an exciting and challenging project. Feel free to contact us to discuss about your software needs and take advantage of our free consultation service. To stay ahead in market, you will need an online presence through a website that will act as a medium for your customers to connect with you. A responsive and appealing website portrays richness of the services and products you offer. We can help you develop a state-of-the-art website for your business. If your business does not have a mobile app yet, it is still not too late to get one. Having a personalized mobile app representing your business improves your customer’s accessibility to your services and products. Consult with our experts to see if having an app for your business will help in its growth. Is your business struggling to reach out to the potential customers or do you just feel like your business is not getting enough positive online attention? Our team of experienced online marketers can help you increase your online presence and keep you ahead in the game by using several latest online marketing tools. Orave engages in development and maintenance of mobile applications. Call Protect is one of those mobile applications. Orave Technologies is a technology-based company established in 2007. We offer an extensive list of services and products to individuals and organizations from around the world. Our specialization is mostly in Software Development, Web Development, Mobile Apps Development, and Consulting. At Orave Technologies, we harvest latest technology and use it to improve the quality of products and services we offer. Our vision based on such usage of latest technology is to make the lives of people better through proper incorporation of advanced components of information and technology into daily lives. Technological services are expensive. Their expensive costs can prevent many from affording simple services their organization could benefit from. To solve this, our mission is to offer extra-ordinary services at an affordable price, so everyone can benefit from what we have to offer. Our primary goal is to satisfy our customers by offering excellent products and services that meet their needs, which in return help draw new customers to them to purchase their products. At Orave Technologies, we believe that our true success and happiness lie within the success of our customers. Our approach to solving problems is simple and is powered by the ideas of our experts. During our problem solving period, we give very high priority to communication with our customers, so we have a chance to understand an actual problem in depth, and they have a chance to know where we stand. Reverse Lookup - New iOS App. Have you ever received a phone call from an unknown number and wanted to know who it was? 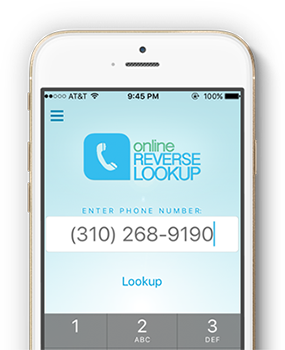 Today, we have a free Mobile App Reverse Lookup for you that will let you identify an entity behind a phone number. We are offering this app for free until the end of December 2018, so hurry up and get it! We are a group of enthusiastic individuals with good understanding of technology who desire to help businesses grow by leveraging it. If you think you would fit in, we would like to hear from you to discuss about your possibility to join our team. Please contact us to know about our current openings. Drop Us a Sweet Line. We like hearing from our customers. Feel free to contact us if you want to drop a line of appreciation or a line of criticism. We take all your feedbacks seriously and do our best to address them, because we know that is how we can improve. We greatly appreciate your visit to our website. Please do visit again to get updated with latest information about our company. Your support is the core to our success. Thank you!